Hip Hop Legend: Doc Ice of Whodini & UTFO! "Roxanne Roxanne"
Hip-hop legend, Doc Ice of Whodini & UTFO most famous for his song "Roxanne, Roxanne"
Passion and a sense of reclaiming his spot in hip-hop can be heard in Brooklynâ€™s native and hip hopâ€™s pioneer, hip-hop legend, Doc Ice. With a career spanning more than 23 years, hip-hop legend DOC ICE will be bringing back Hip Hop music at it's best! Doctor Ice is a rapper in the hip-hop world. He was with the group UTFO, most famous for its song "Roxanne, Roxanne" released as a single in 1984, before the self-titled debut album in 1985. The group recorded 4 albums together that did well, charting some number-one singles, as well as the number-2 album in the country, under Michael Jackson on the Billboard charts. 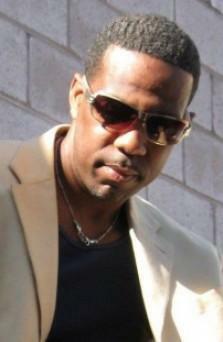 He is also the younger brother of Jalil of the hip-hop group Whodini. Doc got his start before UTFO, as a dancer for Whodini, along with the Kangol Kid, and can be seen in many of their videos and performances. Doctor Ice had a stage persona known as the Debonair Doc, or Doc Ice of Whodini & UTFO. First Rap Group to perform at the Apollo Theater. First Rap Group to record Rap with Reggae ("Pick up the Pace"). First Rap Group to record an R&B love ballad ("Fairytale Lover", which also inspired Run DMC's "Peter Piper"). First Rap Group to perform an R & B ballad on Soul Train. First break dancers for a Rap Group (Whodini). First breakers on a talk show (Phil Donahue). The only recording artists to inspire over 25 answer records ("Roxanne, Roxanne"). The third album "Lethal" peaked on Billboard's R & B chart at number 2 (before Billboard had created a Rap Chart). UTFO has toured with some of the biggest names in Hip Hop such as Run DMC, Whodini, LL Cool J, and The Fat Boys. They also toured with New Edition, and opened up for acts such as The Thompson Twins, Hall & Oates, and The Temptations. In 2009, Doc Ice earned 2 spots in the VH1 100 Greatest Hip-Hop Songs of All Time. He had one spot with UTFO, and another with Whodini. Also in 2009, Doc Ice appeared on several albums that came out all under the same label(Premier). Doc was on North Bay famed group At All Costs' album 20/20 Vision, and the Rappin' 4-Tay Presents At All Costs "Delusions of Grandeur" mixtape. Later on that year, Doc re-released a remastered version of "Rely On Selph" which included the bonus track "They Got Me", which introduced his new DJ (DJ Cazz). Then just before the year ended, Doctor Ice appeared on Skee-Lo's OVERDOSE EP. Ice was featured on the songs "OVERDOSE" with DJ Cazz, and "How Did I Know" with Paul "SEQUENCE" Ferguson & REDStar. In 2010, Doc Ice was featured on Shan Egan's "Purple People", which was released by TEEC/Sony RED. 2011-2013 Doc Ice worked hard in the studio writing, producing and recording. He has been touring with Whodini throughout the USA. Watch for more to come. The Sky is the limit! Doc has released a premier line of fragrances for men and women - Karats Cologne for men and 24 Karats for women by Doc Ice.